Governor Andrew Cuomo and Attorney General Letitia James announced the planned lawsuit on Thursday, after the EPA issued a "certificate of completion" permitting GE to stop dredging until further studies showed whether it had done enough cleanup. "Time and again the Trump administration puts corporations and polluters' interests ahead of public health and the environment," Cuomo said. "Since the EPA has failed to hold GE accountable for fulfilling its obligation to restore the river, New York State will take any action necessary to protect our waterways," he added. "This certification does not let GE off the hook," said Regional Administrator Peter Lopez, a former six-term Republican state assemblyman. "If the data shows we're not heading in the right direction, we have the ability to compel more work, which could mean more dredging." 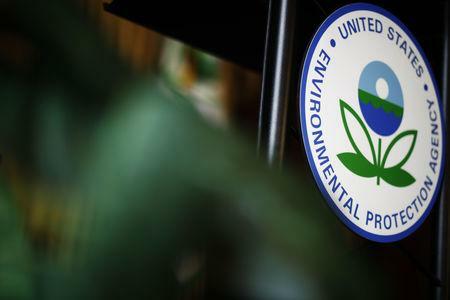 Lopez's deputy Walter Mugdan, a 43-year EPA veteran, added: "This is not a political decision. It is being driven by the science and the law." GE said the EPA decision confirmed it had "successfully completed the Hudson River dredging project," and pledged to collect more environmental data to assess river conditions. But state officials called GE's work "incomplete," and said the EPA decision could make it harder to later require more dredging or other remedial measures. In a December study, the state's Department of Environmental Conservation found PCB levels in fish in the upper Hudson after dredging essentially the same as before.